The 1950's were perhaps the peak of American Culture. The Post-War economy was booming and a future of flying cars driven by robot housemaids was all but guaranteed. 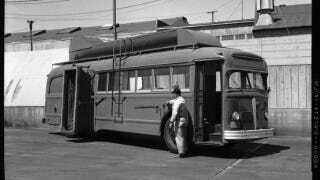 On the West Coast, one local transit authority even had a bus just for cleaning other busses.